The RA-5C Vigilante was designed and built by North American Aviation as an advanced supersonic attack aircraft. It was the largest supersonic carrier aircraft in the Navy. Originally designed as a bomber, it was later realized that it was much more effective in the role of a high speed reconnaissance aircraft. It was equipped with two General Electric J-79 engines with afterburners. 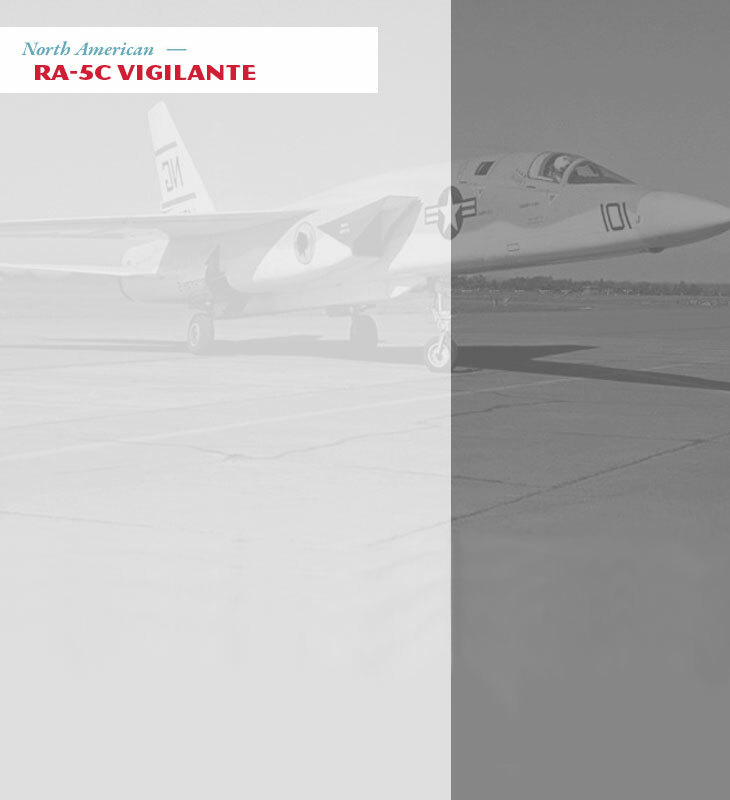 The first Vigilante flew on June 30, 1962. It operated with many new “state of the art” systems. As a reconnaissance aircraft the “Viggie” utilized the following systems. The Vigilante served the fleet during the Vietnam War with the squadrons that were assigned to NAS Sanford, Florida. As a result of base closures they were later transferred to NAS Albany, Georgia and NAS Key West, Florida.